After going through a rough patch for a long while, Puri Jagannadh bounced back with his latest blockbuster ‘Temper’. Starring NTR and Kajal Aggarwal in the lead roles, the film is going great guns at box office and registering record collections all over. 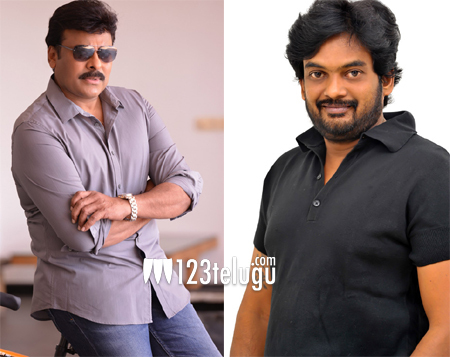 During the film’s promotions, Puri Jagannadh expressed his desire to direct Megastar Chiranjeevi’s much awaited 150th film. Before the film’s release, eccentric director Ram Gopal Varma kicked off a minor storm when he said that Puri Jagannadh is the right director for Chiranjeevi’s 150th film. Reacting to his mentor’s comments, Jagan said that he has been an ardent admirer of Chiranjeevi since his childhood and that he even put up flexes and banners during Chiru’s films release. The director even stated that he will direct a mass masala film with Chiranjeevi, if given a chance. While Megastar Chiranjeevi is still busy working on the right script, let us wait and see if Puri Jagannadh will indeed get the golden chance.